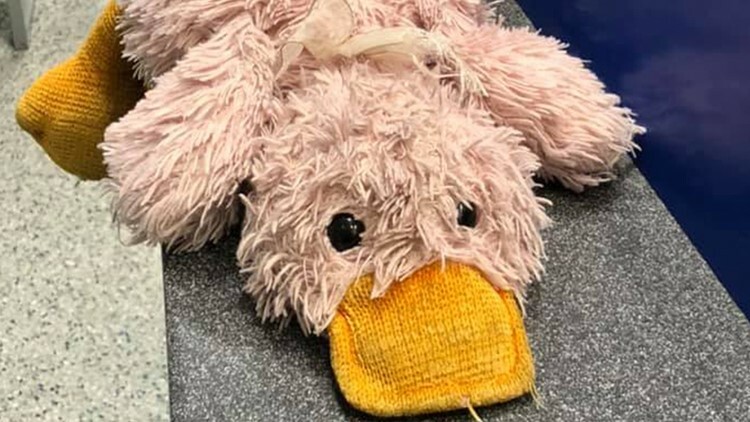 Did you lose a stuffed animal duck at the George Bush Intercontinental Airport in Houston last week? Debbie Singer Enix posted on Facebook about finding the duck in Gate E-16 at the airport before 10:15 a.m. on Jan. 3. "I lost my mommy at the George Bush Intercontinental Airport In Houston Tx Gate 16 before 10:15 am January 3rd 2019😢can you share and help me get home?" the post reads, written from the duck's point of view. "This nice lady is going to wash me and mail me home, just need address." Enix followed up the post on Jan. 6 with an update saying nobody had claimed the duck.